Washing up liquid, squash, cotton buds, kitchen roll, dog treats, shampoo, nappies, descaler (kettle), 4 way, hair bands, kerbie grips. Squiggle at the top to get the pen working. 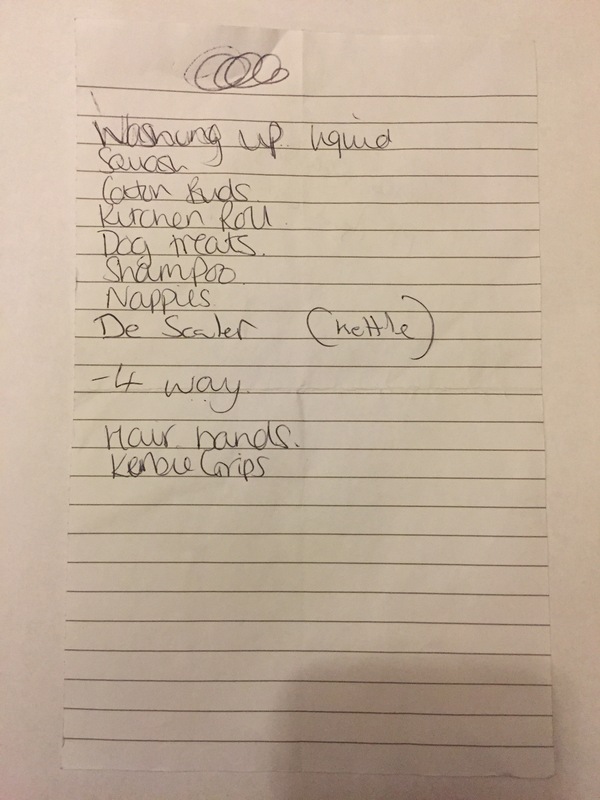 The list looks like it is from a lady with a baby. She has longish hair which she wears tied back.